Phong Nha is the most exemplary cave, in terms of aesthetic value and beauty, in Phong Nha - Ke Bang. - The longest wet cave. With a length of 7,729m, Phong Nha is one of the world's longest water caves. In particular, this is the sole cave with an underground river in Vietnam that is opened for tourists. 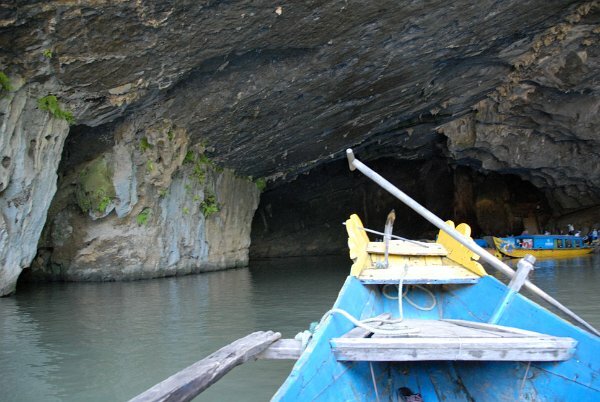 Phong Nha is the most exemplary cave, in terms of aesthetic value and beauty, in Phong Nha - Ke Bang. After almost 20 years of tourism development in Phong Nha, tourists now have the opportunity to experience all seven outstanding features of Phong Nha Cave, as listed by the British Royal Cave Explorers’ Society. These include: - Cave with a high and wide door - Cave with the most beautiful sand and reefs - Cave with the most beautiful underground river - Cave with the most magnificent system of stalactites - Cave with dry, high and wide chambers - Cave with a beautiful, deep and wide lake - The longest wet cave. With a length of 7,729m, Phong Nha is one of the world's longest water caves. In particular, this is the sole cave with an underground river in Vietnam that is opened for tourists.